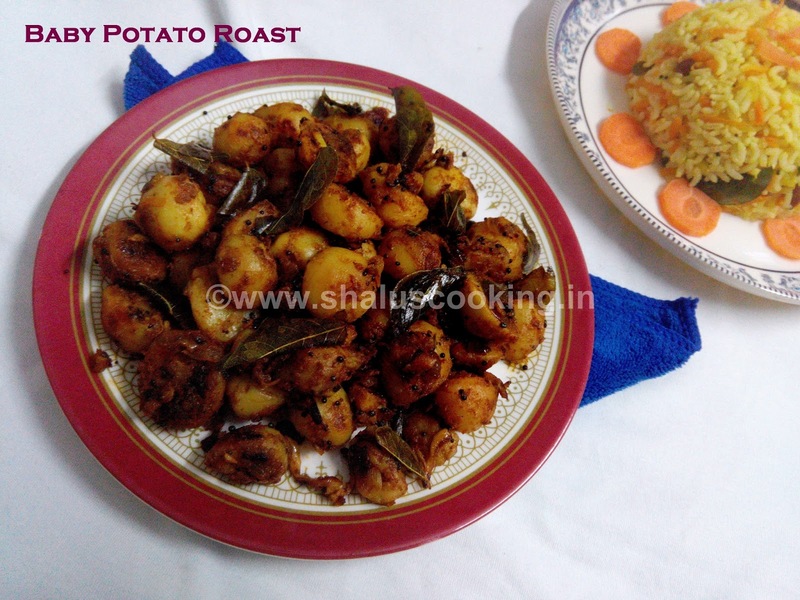 Baby Potato Roast, is one of the best side dish to have with any variety rice. 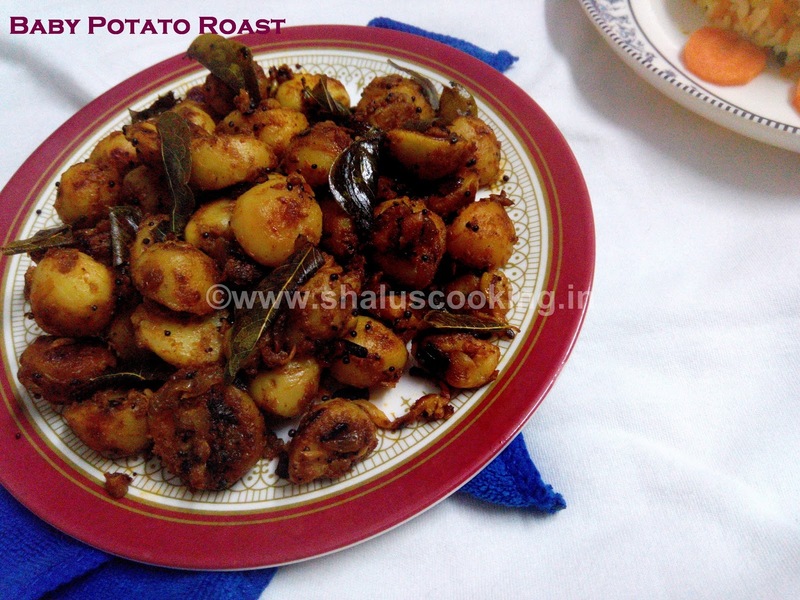 There are lot of ways in making the baby potato roast, the one I have given here is just one variation among them. I will try to post some more baby potato recipes in future. Try this dry roast and let me know your comments. 1. Baby Potato – 20 No. 2. Onion – 1 No. 4. Red Chili Powder – 1 tbsp. 5. Coriander Powder – 1 tbsp. 6. Turmeric Powder – 1/2 tsp. 7. Cumin Powder – 1/2 tsp. 10. Mustard Seeds – 1/2 tsp. 11. Oil – 4 tbsp. 1. Pressure cook the baby potatoes for 3 whistles. Once the pressure is completely released, take out the potatoes and peel its skin. Cut the potatoes into halves if the size is little big. Finely chop the onions, crush the garlic and wash the curry leaves and keep it ready. 2. Heat oil in a pan and add mustard seeds. When the mustard splutters, add curry leaves and asafoetida and fry for a second. 3. Add the chopped onion and saute for a minute and then add the crushed garlic and cook till the onion turns light brown in color. 4. Add Red chili powder, coriander powder, turmeric powder, cumin powder and salt. Mix well and saute for a minute. Spice powders should not be burnt. 5. Add the baby potatoes and mix well, so that the masala is well coated on the potatoes. Roast the potatoes until the potatoes become roasted brown color and switch off the flame. Spicy and tasty Baby Potato Curry is ready to serve. This makes a wonderful combination when served with Curd rice or any variety rice.